At best, the marathon expo is draining. At worst, it is a bit of a circus with sideshows of minimal interest to the long-time runner, catering as it may to the novice runner or the flavour-of-the-day in training methods. The CIM distinguished itself by having Jack Daniels, one of the most respected coaches in distance running, as its headliner. We arrived in town a couple of hours before the expo opened and all seemed quiet in the vicinity of the expo, located a block from our hotel. It was a surprise to find the convention center packed a mere thirty minutes after opening time. And, I mean near-gridlock type of “packed”. I do not like crowds. A manifestation of this is that after a total 27 years as a Toronto resident I have never attended the Canadian National Exhibition, the CNE, the EX. The days before a marathon are not the time to be fighting crowds, rifling through boxes of running gear in search of bargains or sampling new sports drinks, bars or supplements. As for shopping, as when on vacation, context is everything and souvenir doodads and apparel entice but may lose luster upon returning to the regular grind. 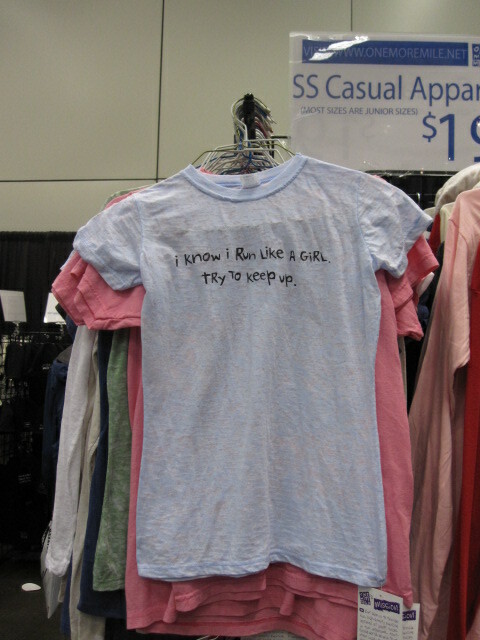 For example I briefly considered buying this t-shirt. A nice aspect of blogging is that the act of posting a picture of something that catches your eye gives you a bit of the thrill of acquisition, and diminishes your desire to possess that object. It is unlikely that I would ever wear this t-shirt, had I purchased it. The most tiring expos of all is the Boston Marathon expo. I’ve run Boston four times and the last three times have ducked into the long corridor where the race kits are given out and avoided the expo altogether. My alternative to the expo is a trip to the Harvard Bookstore, located a couple of blocks from the Harvard Square subway station and a block from an Italian restaurant with great lobster ravioli. You don’t want to start pumping adrenalin at the marathon expo, wait till race day, you want to reduce physical and running related-mental stimulation the day before the race. To be fair there are items at expos that are not readily available elsewhere. 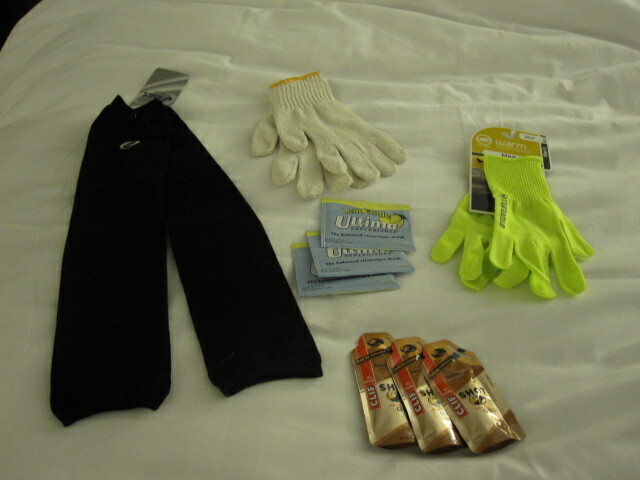 My purchases this day included; arm warmers, mid-weight gloves, fluorescent gloves, powder for Ultima, the official sports drink of the CIM and Mocha Clif Shots with caffeine. As mentioned in another post, the Mocha Clif Shots are not available in Canada. Picking up my race number, t-shirt and timing chip took little time, however there was a bottleneck at the goody bag pick-up. My husband stood in the long line to get the goody bag while I made my purchases and looked around for sports watches as he needs a new one. Have you ever noticed how the life of a sports watch seems dependent on the life of the wristband? No sports watch bargains were to be had so my husband returned to the hotel to do a work out at the fitness centre and I stayed for the presentation on how to run the CIM. This session was hosted by three runners, each having run the CIM all of it’s 27 years. The main takeaway points were; getting to the race start by bus is the ideal as the buses stay put once there and you can choose hang out in the bus for as long as you need, stay to the left at the relay exchange points as there is a lot of activity and confusion, the location of the major uphills on this net downhill course. I returned to the expo recharged after the hour of sitting and bought a bus ticket. Then came upon the biggest bonus, pace tattoos. 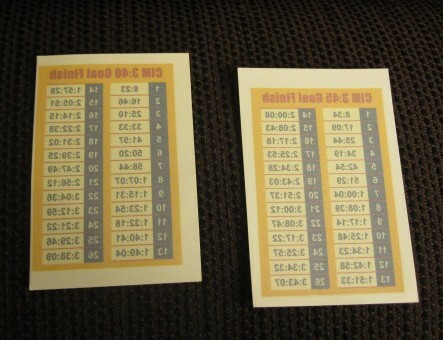 I normally create a waterproof pace chart that I pin to my jersey however no need this time round as I picked up, free-of-charge tattoos with splits for a 3:40 and a 3:45 marathon. Pace tattoos, what will they think of next!? Very cool. I returned to the hotel feeling that the net return on attending the expo was positive. I felt that I had for the most part done as Jack Daniels advised in his seminar the following day which was to concentrate on the task-at-hand. Categories: Boston Marathon, California International Marathon, Marathon, Running, Training | Tags: Boston Marathon, California International Marathon, clif shots, Jack Daniels Running Formula, Marathon, power gels | Permalink. 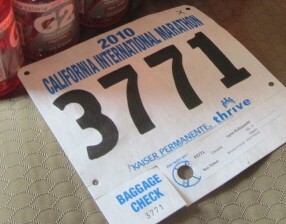 When running a marathon, a past pre-race routine has been to drink a lot of gatorade, a can or two of Boost and then down a powergel, shortly before the race starts. Later in the race I take a gel at the 15K and 30K marks and further on, if needed. Through the years, as my body became better at using fat as a fuel, I needed fewer carbohydrates. Power gels are the yuckiest, things you can imagine, a sugary, gooey syrup that must be followed with water in order not to gag on the stuff. Years ago, I asked a friend, a PhD in nutrition to analyze the contents to see if there was anything other than glucose in the mix. The answer, NO. Since I sometimes would have a power gel near the end of long run, I decided why pay nearly $2 for this concoction when I could be eating chocolate. In addition to the improved taste, a chocolate bar purchased on the run, also buys you a ticket to a washroom. This is a real bonus in the winter when most of the washrooms in city parks are shut down. The talk at the high school went well. And the thank-you gift, a box of Lindt chocolates, inspired my blog topic. Chocolate however, does take a bit more effort to ingest so the gels, while racing the marathon will still be required. Picking my poison, my preferred gels are Clif Shots with Mocha, my favourite flavour. The mocha flavour is special because it has caffeine in it. Although this is only available in the U.S. as Canadian Food and drug regulations do not allow caffeine to be present in gels. I don’t normally go for sports bars but while traveling find that they are handy (and economical) items to have on hand in while on-the-go, in transit. 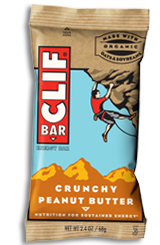 My husband and I like the Peanut Butter Crunchy bar. The best box of chocolates I’ve ever had was a gift from our across-the-street neighbours, who really know “good things”. The chocolates were from Stubbe which has a location at Dupont and Christie. 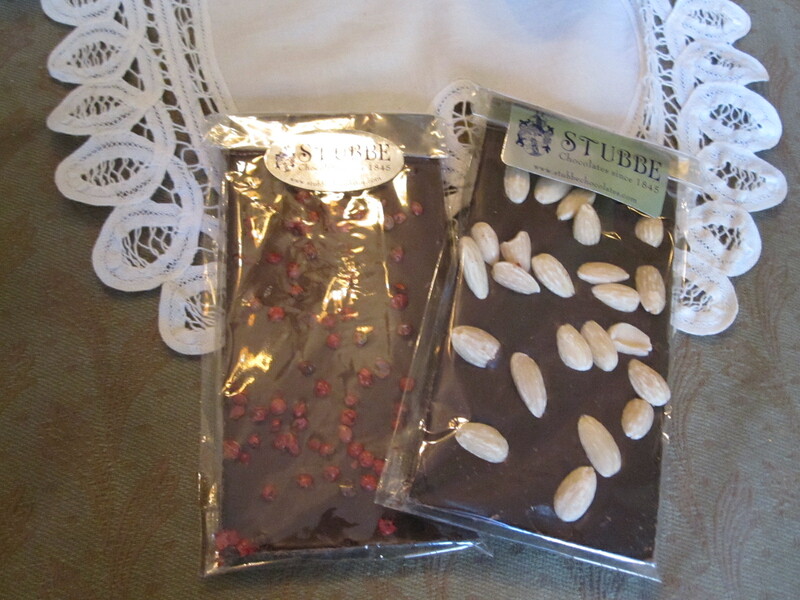 The other day I bought two Stubbe chocolate bars at the LIT Espresso bar for my son and our roommate. I’ve become a Stubbe devotee. 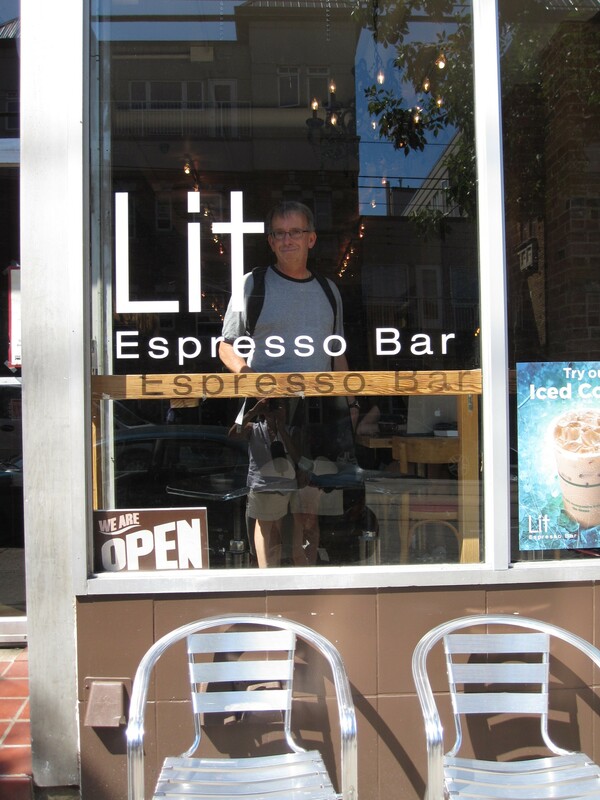 LIT is the only place in Canada, I’m told, that brews Stumptown coffee. 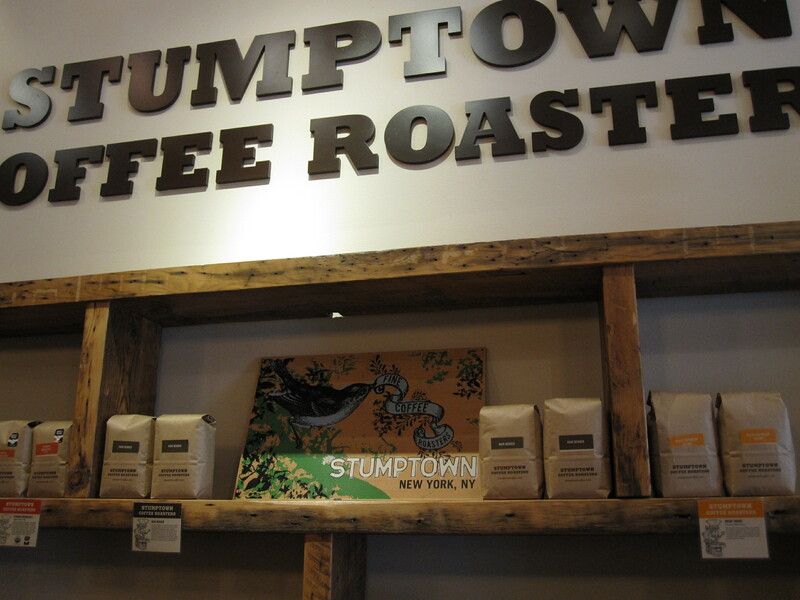 Those of us who are addicted to Starbuck’s, do notice the Stumptown difference. Well, I really must go but I hope to continue this discussion of chocolate very soon. Sweet dreams! p.s. I ran 7 miles on the treadmill this morning and made edits to my talk, while running. Categories: Food, Marathon, Treats | Tags: Chocolate, clif shots, Coffee, power gels, Stubbe | Permalink.